Dec 27, 2005 0800 PST (FTW): Michael Ruppert’s book Crossing the Rubicon: the Decline of the American Empire at the End of the Age of Oil is the best selling book about 9/11 from the skeptics point of view. It has sold over 100,000 copies despite a deafening silence from the media, an extremely unusual circumstance for a book. Even the publications that attacked From the Wilderness in the months after 9/11 for daring to connect the dots about 9/11 foreknowledge have refused to say anything (good or bad) about Rubicon. If the thesis was flawed, surely someone somewhere would describe the errors. After Rubicon was published in September 2004, a strange smear campaign accelerated on the internet making a variety of bizarre accusations about the author. Most of these attacks came from internet personalities who promote extreme ideas about 9/11 complicity that lack substantive evidence, an effort that is probably the official response to the book. No administration representative has dared say anything specific about the book or the evidence contained in it. The only politician in Washington who has publicly tried to get an answer to the book’s accusations is the Honorable Cynthia McKinney (D-Georgia). This writer is aware of a few Democratic politicians and party officials who privately agree that there was official complicity in 9/11 — one admitted to this author that he knew Cheney was running war games on 9/11, but an hour later, when in front of a microphone, refused to touch the subject when asked. Fear is the currency of empire. In 2005, the U.S. State Department posted a website for "Identifying Misinformation" as part of their public relations efforts to defend the indefensible. Their website, run at public expense, is an excellent guide to nearly every disinformation tactic on 9/11 complicity claims. It contains a mix of obvious government lies and highlights of fake claims that distract from the best evidence. David Ray Griffin at http://www.interlinkbooks.com/Books_/911CommRep.html. The State Department is promoting the sloppy (fake?) efforts to allege 9/11 complicity while avoiding serious efforts to establish the truth. 9/11 skeptics who don't believe the official story should recognize this is a crude effort by the government to select which "conspiracy theories" should be considered representative of the 9/11 truth movement. The official story of 9/11 is dependent on bogus evidence to support a conspiracy theory: the claim that 19 guys directed by a wealthy dialysis patient in a cave in Afghanistan managed to outwit the largest military and intelligence system in history, a system so incompetent that it needs a massive budget increase to protect the public from a repeat of the attack. But a more subtle, different set of bogus evidence is also in wide circulation, making wild claims about official complicity based on poor quality images, fraudulent photos, and misrepresentation of facts. This material masquerades as investigative journalism, but is largely devoid of verifiable evidence (some of it does include real facts to establish the bona fides of the disseminator and to make the hoaxes more palatable to the reader). The volume of this disinformation became increasingly prominent as the 9/11 Truth Movement experienced political successes in persuading larger numbers of people that 9/11 was not a surprise attack. White House advisor Karl Rove is famous for his skills with dirty tricks to sabotage political campaigns. Perhaps the most widely recognized Rove success was the allegedly fake memos given to CBS News in September, 2004 that documented how George W. Bush went AWOL from the Air National Guard. Those memos were immediately proclaimed to be fake after CBS used them, and in the ensuing brouhaha, the AWOL story was completely discredited even though the facts were correct. It would have been much harder for Rove to steal the 2004 election if the reality of the AWOL scandal had been taken seriously by the media. Using this faked but true evidence was a successful gamble to immunize his candidate from these explosive facts. The film “Horns and Haloes” documents the effort in 1999 and 2000 by writer Jim Hatfield to publish his book Fortunate Son, a biography of George W. Bush. Rove was a source for Hatfield’s revelation that Bush had indeed used cocaine as a younger man, but when the book was published, the media focused instead on Hatfield’s past, not Bush’s. Hatfield had served time in prison for attempted murder, and leaking the story to a writer with a criminal record was a very cynical strategy to neutralize the impact of Bush’s drug use. For details on this history, see http://www.sanderhicks.com. I realized that the clandestine operation of the opposition was so cynical, so sophisticated, and, at the same time, so subtle, that destroying an old-fashioned state jury trial was very much like shooting fish in a barrel with a shotgun. [I]t was clear by now that no jury would find an eminently respectable, prominent, distinguished community leader guilty of conspiring to kill the President, especially following an unforgettable example of genuine lunatic testimony from a prosecution witness. This disinformation strategy is used to cover-up many crimes of State. It is very effective, but not very creative, since the same approach is used over and over. Its practitioners are like a musician with a one string guitar connected to a very loud amplifier — they can’t play many notes, but everyone hears their noise. .html, is an effort to analyze the patterns of disinformation used to discredit serious investigation and exposure of numerous crimes, including 9/11. This analysis shows that the best evidence is usually in the middle between the “limited hangouts” (efforts at partial exposure that ensure the full truths stay concealed) and distracting disinformation (efforts that discourage those drawn to limited hangouts from probing any deeper). Most activists who have made efforts to spread information about official complicity in 9/11 have experienced the reluctance of many to face these truths, even among liberal opponents of the Bush regime. Many who have been active in discussing this evidence have been the targets of similar psychological strategies deployed by advocates of disinformation claims, urging deeper and deeper examination. The history of the “COINTELPRO” campaign contains myriad examples where activists were encouraged to prove how radical they were, with the result that they alienated themselves from their allies. With 9/11 investigation efforts, it is important to ensure that one’s suspicions mesh with the most solidly documented evidence. Many websites, publications, books and movies that contain erroneous information about 9/11 complicity issues are well-meaning and have merely been fooled by some of the hoaxes — but good intentions do not make the claims true. Many 9/11 websites that claim to have proof about 9/11 complicity promote claims that are not true — some of these sites are incompetent, but a few others appear to be promoting nonsense deliberately. Most of the liars make sure to include enough real material to establish their bona fides before lying. Some of the false claims about 9/11 conspiracy are probably disinformation designed to smother actual evidence with distracting nonsense, but some are possibly created (or at least echoed) by people without fact-checking skills. These increasingly wild stories make truth-seeking far more difficult. The smokescreens obscure public examination of a large body of incriminating evidence that is proven beyond reasonable doubt, as well as other evidence that has good standards but is not totally proven. The best evidence that 9/11 was an inside job is hard to find, due to loud liars offering phony evidence intended to distract (and discredit) 9/11 skeptics. The growing flood of fake claims for complicity is evidence of a sophisticated psychological warfare effort to cover the tracks of the conspiracy. Blurry photos that magically appear years later, just as the 9/11 truth movement grows in popularity and political influence, are not evidence if there is not a “chain of custody” proving the images authentic. Just because someone says "inside job" does not mean that his or her theories of what happened, whether well-intentioned or malicious, are proven or even provable. Many, if not most of the people echoing these hoaxes, are sincere in their beliefs — but their sincerity doesn't make these claims true, nor does it mitigate the ridicule factor that the hoaxes generate among the majority of the public. 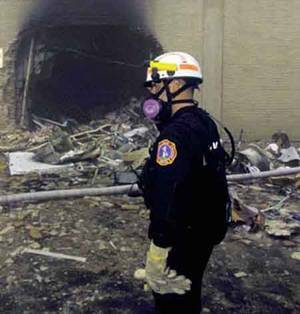 The idea that 9/11 was an inside job is a difficult enough point of view to advocate for the majority of people in the United States without making the thesis dependent on blurry images or other fraudulent types of evidence — it is critical to focus on the claims that are proven beyond reasonable doubt, with the highest quality documented evidence. There will never be complete agreement in the 9/11 truth movement, given the widely varying quality of standards used by different people, the lack of peer review, and the presence of hoaxers trying to keep people off balance. It's more productive to persuade people outside the "truth movement" about the best evidence, and caution them about the hoaxes. It is hard to know what Solomon’s intentions were in defending the official “surprise attack” story, although the timing of his attack (just when the evidence of foreknowledge was becoming more widely known) is suspicious. But there is no ambiguity about the State Department’s intentions. Their “misinformation” campaign is doing the exact opposite of what Mr. Solomon was doing — the State Department is leveraging their lack of credibility among critics of US government policies to ensure that skeptics focus on the hoaxes and avoid the provable evidence. The State Department knows that anyone who suspects government collusion in 9/11 is unlikely to believe anything that State says — and their choice of targets reflects a curious focus on the speculative and the bogus, in the hope that the skeptics will see this emphasis as a reason to embrace the claims that are “debunked” by the State Department. The "no Boeing hit the Pentagon" claim is the most important and widespread 9/11 hoax. It was probably set up before the event, since government agents seized surveillance camera videos within minutes of the crash (which is evidence for foreknowledge, but not for “no plane”). It is extremely unlikely that the conspirators who allowed (and facilitated) 9/11 would not have taken care to create misdirecting hoaxes before the "attack," since they were very much aware that large segments of the population would have suspicions about the events. It cannot have been difficult for them to anticipate the need to disrupt skeptical inquiry with red herrings, hoaxes, false dichotomies, etc. This hoax is based on misrepresentation of photos taken shortly after the crash, ignoring of physical evidence and of documented reports from hundreds of eyewitnesses who saw the plane. There is NO credible, verifiable evidence in support of ANY of the many and varied claims that a plane did not crash into the Pentagon and therefore, 9/11 was an inside job. See www.oilempire.us/pentagon.html for details. It was first floated in early October 2001 by French author Thierry Meyssan and US War Secretary Donald Rumsfeld. Monsieur Meyssan started a webpage that suggested a plane did not hit the Pentagon on October 7, and Rumsfeld gave an interview to Parade magazine on October 12 where he said a "missile" hit the Pentagon. That "missile" quotation was then used by many no-plane advocates as part of the campaign to draw attention to this claim. Meyssan went on to create the "Hunt the Boeing" website and then published two books, The Horrifying Fraud (published in English as 9/11: The Big Lie) and Pentagate. These books have been translated into a total of 28 languages, which ensures that they are the dominant version of the complicity case with a worldwide readership. On September 4, 2004, two months before the Presidential election, Parade magazine claimed that this quotation was a misstatement and the sole source for the no plane hoaxes, thus dismissing 9/11 "truth" before an audience of millions of voters. Lundi 8 octobre 2001 : le Réseau Voltaire publie sur son site internet « Les mystères de l'attentat contre le Pentagone ». 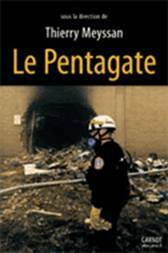 Translation: Monday October 8, 2001 - the Voltaire Network published on its internet site “The Mysteries of the attack on the Pentagon.” - This was the first website to suggest that Flight 77 did not hit the Pentagon. Here we're talking about plastic knives and using an American Airlines flight filled with our citizens, and the missile to damage this building and similar (inaudible) that damaged the World Trade Center. The Internet, too, is a potent tool for spreading conspiracy theories. Parade found this out after Lyric Wallwork Winik interviewed Secretary of Defense Donald Rumsfeld in Oct. 2001. In a transcript of Winik's interview with Rumsfeld, which was published on the Department of Defense's website, Rumsfeld seemed to indicate that the Pentagon was hit by a missile on 9/11 instead of a plane. It turns out that a transcription error led to the confusion, but conspiracy theorists latched onto Rumsfeld's supposed admission and spread it over the Internet. If this was really a “transcription error,” then why does the official Pentagon news service still have this quotation on their website? Rummy’s “missile” remark was bait to set up the “no plane” hoax. The State Department campaign simultaneously cites rense.com as unreliable and as a source to debunk the no plane hoax. Nevertheless, the State Department included a link to Rense.com as part of its effort to debunk the Pentagate book of Thierry Meyssan. It seems obvious that the State Department’s propagandists understood how this no-plane disinformation could be used to discredit 9/11 skeptics. The next photo is from the cover from one of the conspiracy sites that demands "where is the plane?" — they must not have looked very hard; there are two obvious chunks of it in the photo, another rim from the airplane on the right, and a large chunk of bulkhead on the left. The “no planes” debate is a false dichotomy between “no plane” and “no conspiracy,” when neither position is true. .htm has a reasonably accurate debunking of the Meyssan material. However, the authors avoid looking at the flaws in the official story: the flight school dropout turned into an ace pilot, the aiming at the nearly empty part of the Pentagon, and above all, the wargames that paralyzed the most powerful Air Force in the world. Those are topics that Snopes and most other debunkers will not touch. "No Plane" has been the most effective way to discredit claims of complicity inside the Beltway, both for the overwhelming majority who voted against Bush and the high level military and civilian officials who saw the plane or plane parts, or who have friends who did. Making the conspiracy dependent on the no-plane hoax gets Bush and Cheney off the hook. The issue is not what We The Plebs think about these issues — the perpetrators are more concerned with what the military and political leadership cadres in DC think. How long would Cheney and Bush be in office if most of the military thought that the neo-conservatives deliberately allowed 9/11 to happen, while the Vice President facilitated the attacks? Here is a useful metaphor: some of the defense systems used to protect military planes against heat-seeking anti-aircraft missiles involve shooting flares to confuse and distract the incoming missile so that it will lock onto a hot decoy target instead of the plane. Another technique is to drop metal strips out of the plane to hide the plane’s radar signature and confuse the radar system. Crossing the Rubicon references a Toronto Star article published two months after 9/11 that mentioned there were fake blips inserted into the air defense radar systems as part of one of the wargame exercises underway during the attacks. Ironically, the disinformation efforts surrounding 9/11 evidence perform exactly this “chaff” function. It is a big clue that the media efforts to discredit 9/11 skeptics focus on the no-plane claim (the absence of Flight 77) while ignoring evidence proven beyond reasonable doubt.